As someone who loves the idea of a drama based on the concept of multiple personality disorder, I expected quite a lot of dimensions and complexity from Hyde, Jekyll, Me. I was particularly looking forward to the great cast and what seemed like a promising story. 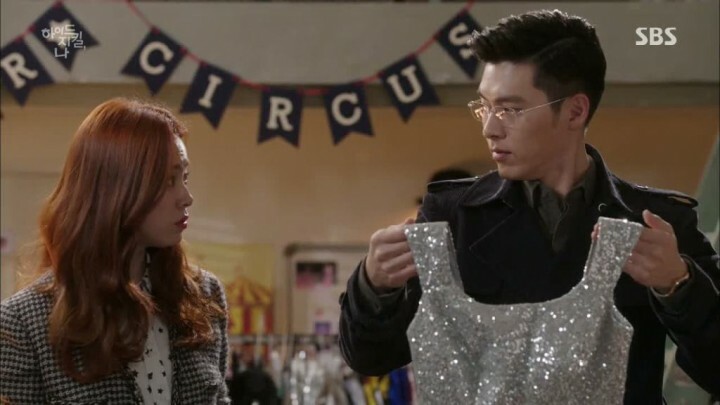 Our hero Gu Seo Jin (Hyun Bin) is a rich CEO of a powerful group while heroine Jang Ha Na (Han Ji Min) is a circus director, who finds herself falling for Seo Jin’s alter ego — Robin, and eventually Seo Jin too. It’s an unusual premise that combines many elements such as romance, thriller, comedy, and a very complicated “love triangle”. Numerous illogical scenes led to the early downfall of the drama. What I enjoyed the most is the awesome acting efforts by both the leads and the antagonist, which were entertaining to say the least. Hyun Bin and Han Ji Min have completely nailed it all the way through the drama by portraying their complex characters effortlessly. 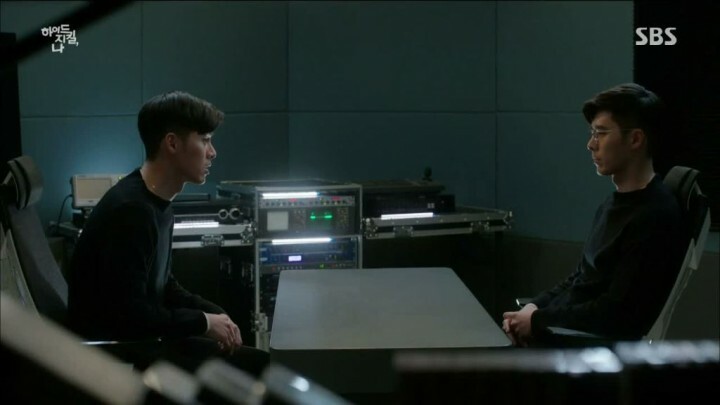 I also loved the fact that little details that gave a clean delineation between the way Seo Jin and his alter ego carried themselves are emphasized to build up Robin and Seo Jin’s characters separately. 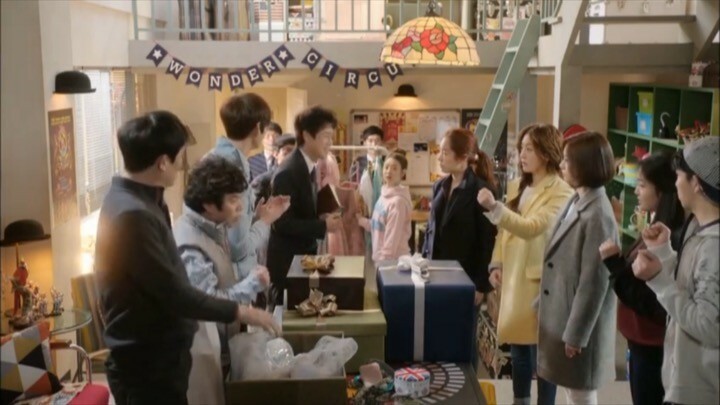 Even more notably, the character details are not only limited to the protagonists but are extended to the supporting ones as well, which is a definite rarity in Korean dramas. But unfortunately the positive things I have to say about Hyde, Jekyll, Me ends here as I found the entire script to be quite stagnant. I was thoroughly bored watching many episodes and encountered several dry moments difficult to power through. In particular, a number of scenes lacked logic and reason which, I believe is what led to the early downfall of Hyde, Jekyll, Me. There were so many little flaws throughout the drama that chipped away at my enthusiasm, little by little. Ultimately, the illogical sequences, repetitive scenes, and lack of focus on the hero in favor of the antagonist left a sour impression on me. The concept of Dissociative Identity Disorder (DID) or Multiple Personality Disorder is executed rather precisely through a surprisingly slow set of episodes. I really appreciated the Hyde, Jekyll, Me‘s attempt at accuracy in describing this complex medical concept and the actor’s fantastic demonstration of it through their show-stealing acting performances. I was spellbound by the abilities of both actors in bringing their characters to life. We’re quickly introduced to our main characters Seo Jin and Ha Na. They start off as rivals, but an uncanny turn of events leave them becoming closer than ever. Meanwhile, Robin manages to be making a cameo into Seo Jin’s life again, which seems to be a problem for many people except Ha Na. I was spellbound by the abilities of both actors in bringing their characters to life. The best examples of this is when Hyun Bin enters his alter ego, Robin. I loved the way he showed subtle differences in the manner of speaking, walking, and even appearances between the two divergent personalities. Likewise, Han Ji Min does a great job of portraying how Ha Na gets hypnotized so she could recollect her lost memory regarding why she was nearly murdered. However, I must admit that I was a bit disappointed by the fact that the character development of these episodes revolved solely around Ha Na and Robin, as I craved to see more of Seo Jin as well. Despite the strong character build-ups, the drama layered on excessive repetition of many plot elements that I found difficult to sit through, such as the severity of the villain’s crime, the necessity to protect Ha Na’s life, and Seo Jin’s mental illness. Another major letdown is that the revelation of the main villain at such an early stage killed the suspense of the plot. I would call these next five episodes pivotal to Hyde, Jekyll, Me‘s plot, but boring. Really boring. 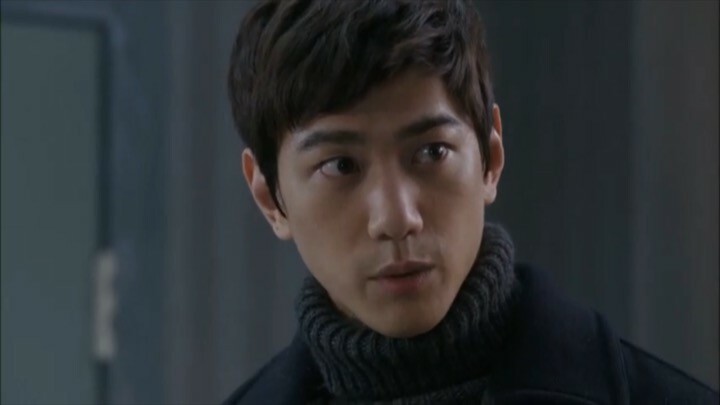 The character development mainly revolves around Yun Tae Joo (Sung Joon), Ha Na’s hypnotherapist and our villain. But beyond this, nothing else of significance seems to happen during these episodes. Case in point, I felt that Ha Na’s circus could’ve been brought in here and there to diversify and enrich the story. But sadly it was completely neglected, leaving the drama’s plot line utterly one-dimensional. The villain’s past agony is revealed and we see that he has been planning his revenge for quite sometime. Although the implementation of his revenge seemed clever at first, they lack overall consistency. Some of it is breathtakingly smart while some just come across as illogical. It seems to me that he (or the writers) only bothered to plan one or two steps and decided to go impromptu with the rest. But truth be told, the looming mystery over Tae Joo doesn’t seem to be clearing up any time soon in spite of so much attention in his direction. This is one of the more interesting aspects of the drama at this point, hidden beneath mountains of repetitive scenes. One positive point is that these five episodes talk a good deal about the subject of hypnosis. The technicality and the accuracy were maintained throughout, which complimented the storyline nicely. 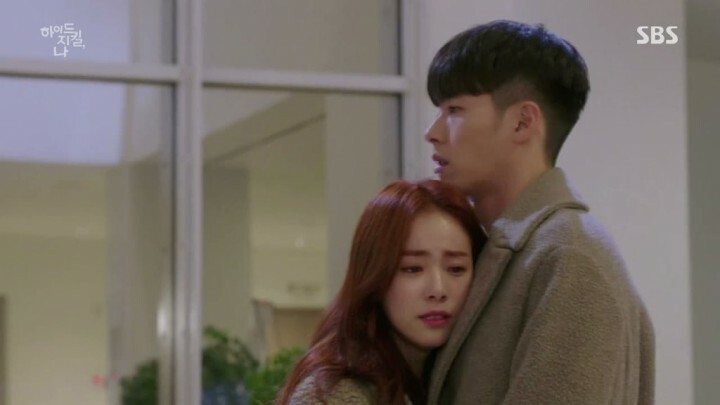 These next episodes of Hyde, Jekyll, Me suffer from many fatal flaws including a crawling plot line, illogical story developments, our heroine becoming overly robotic, and an disproportional amount of screen time dedicated to Tae Joo’s evil plans while the main storyline hardly moved at all. The same topics, like the villain’s reason for committing the crime, and Ha Na keeping tabs on Seo Jin since long ago are said over and over again, to the point of making me feeling irritated. The entire sequence of the hero and the villain getting kidnapped is repeated so much so that it undermined what little momentum the storyline earned previously. Rather than solely focusing on Tae Joo, the drama could have avoided so much redundancy by building a multi-faceted story around a range of other characters beyond Tae Joo. Another option is to simply shorten the number of episodes to remove a large number of these space-filling scenes, dialogues, and settings. The drama dedicated too much time to the villain and the main storyline hardly moved at all. On the plus side, there is solid movement on the romance front. We find ourselves a crystal clear love triangle between Ha Na, Robin, and Seo Jin. But what really caught my attention was Seo Jin coming to terms with everything around him and starting to handle them. We see a more confident Seo Jin who is clear about what he wants and how he wants it. 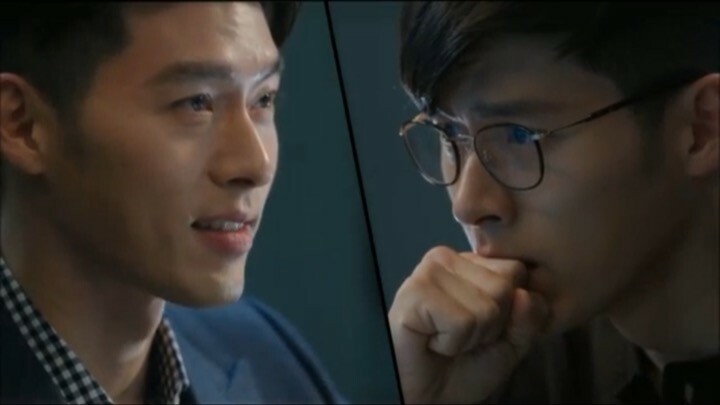 But despite the drama’s well-done emphasis on character progressions in both the hero and the antagonist, the sea of negatives drastically outweigh the positives during this section of Hyde, Jekyll, Me. These last episodes of Hyde, Jekyll, Me were a definitive improvement from the previous ones. The main reason is that the villain’s vengeance is no longer the focal point, but rather, the story expands to allow much more flavors of emotions — romantic, comedic, and even sentimental sequences at times. The disappearance of Robin is one that was truly heart-wrenching and is definitely one of the best scenes in the drama. Honestly, more of such emotionally rewarding moments could’ve been implemented earlier to make the drama a lot more dynamic. But nonetheless, I was happy with the resolution around Seo Jin’s character at the end. I really loved the way both the main personality and the alter ego fused together. The drama’s signature move of paying attention to the minor details was at its best in these final episodes. Overall, Hyde, Jekyll, Me had a few high points and many low points. The drama definitely covered a wide spectrum of interesting genres and topics, but those, sadly, were drowned out by the exclusive emphasis on vengeance, the overly repeated scenes, and the lack of logic at times. But I really liked this drama’s way of bringing small details and mannerisms of most character to light. Many of this drama’s flaws could’ve been easily avoided and it’s this feeling, I believe, that led to my general disappointment and diminishing enthusiasm for the drama. Im from the philippines and had the chance to watch two episodes but after that i crave for more and had search online to watch the full episode.I laugh,got angry,inlove and cried alot in this story…and i got so inlove with Hyun Bin’s character specially being Robin…im a big fan!